Every bride desires a magical location for the day of her dreams. This location fits the bill perfectly! It is the South Florida Museum in Bradenton, Florida, and it is such a hidden gem! 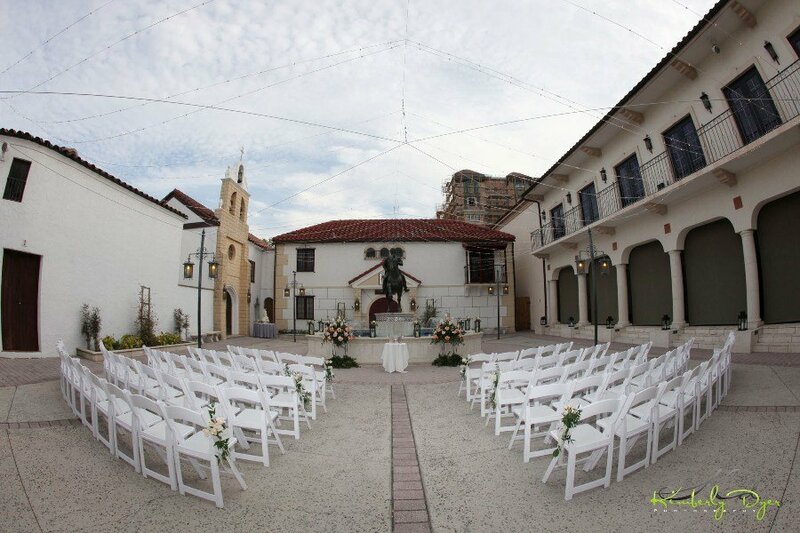 The gorgeous wedding and reception were held in the captivating courtyard. The color theme of this special wedding was soft tones of champagne, blush pink and peach! The beautiful and glowing bride carried a stunning bridal bouquet designed with cream hydrangea, Sahara, Versailles and Sophie roses. It was so pretty and complemented her dress very well. The grooms’ boutonniere was a double small porcelina spray rose with a touch of seeded eucalyptus…it was just the right touch! 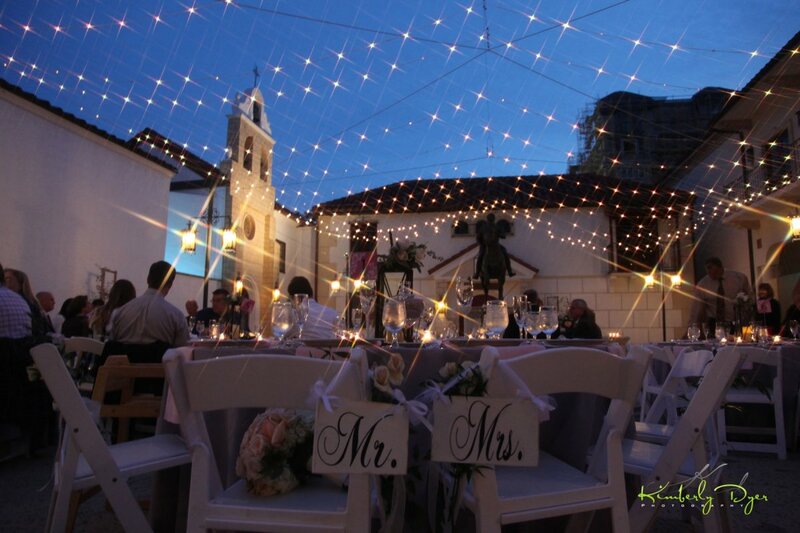 Since the reception was at night in the courtyard, lighting was an important part of the décor! 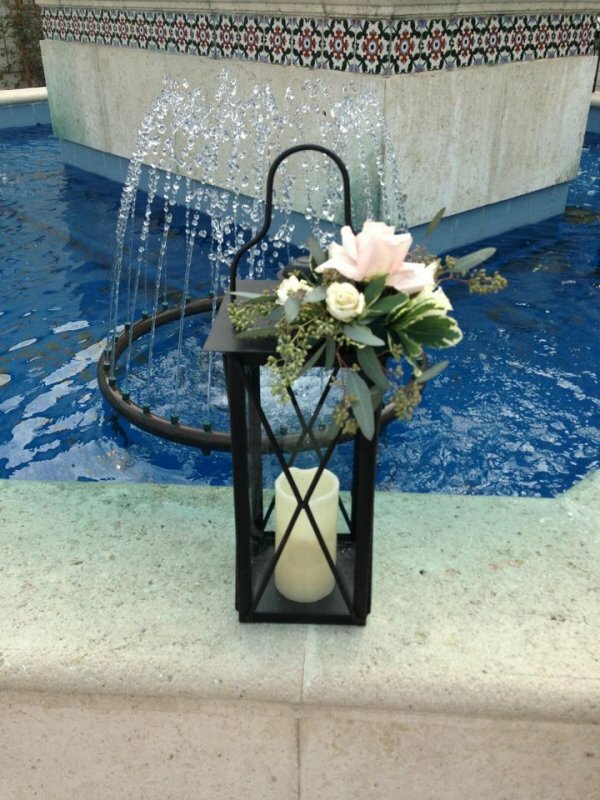 We used black iron lanterns on the guest tables as centerpieces with floral clusters of roses on top. Each lantern contained a LED pillar candle so as to provide light but not damage the flowers. Some of the lanterns were also used on the wall around the fountain at the ceremony site. The ceremony itself was officiated by Rev. 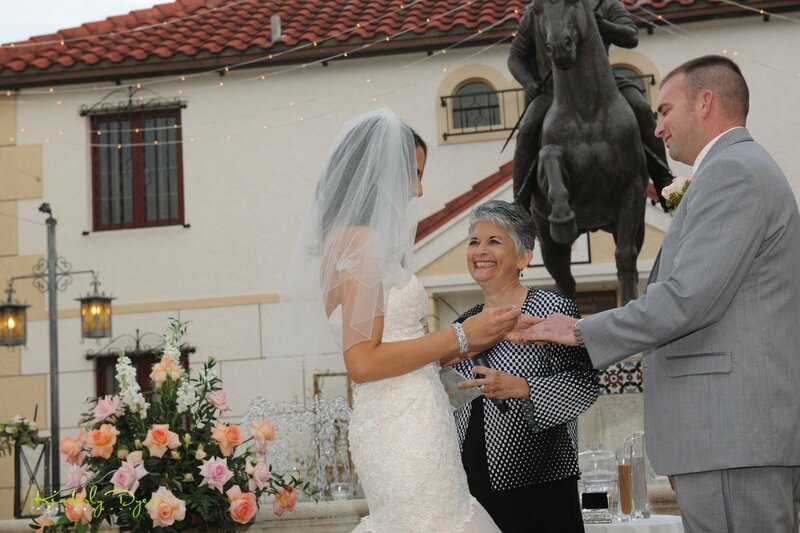 Georgeann Butler of Sarasota Dream Weddings. 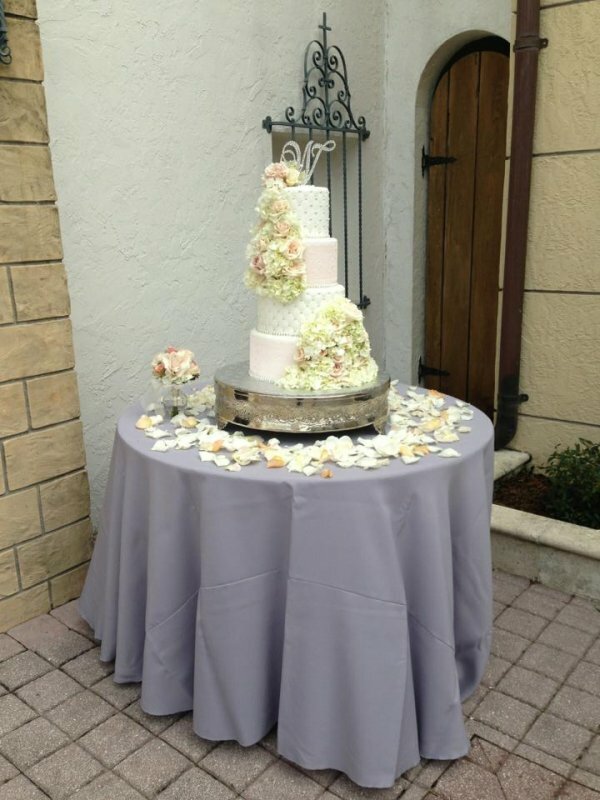 The ceremony site also had black iron stands with lovely pastel colors to match the color scheme. 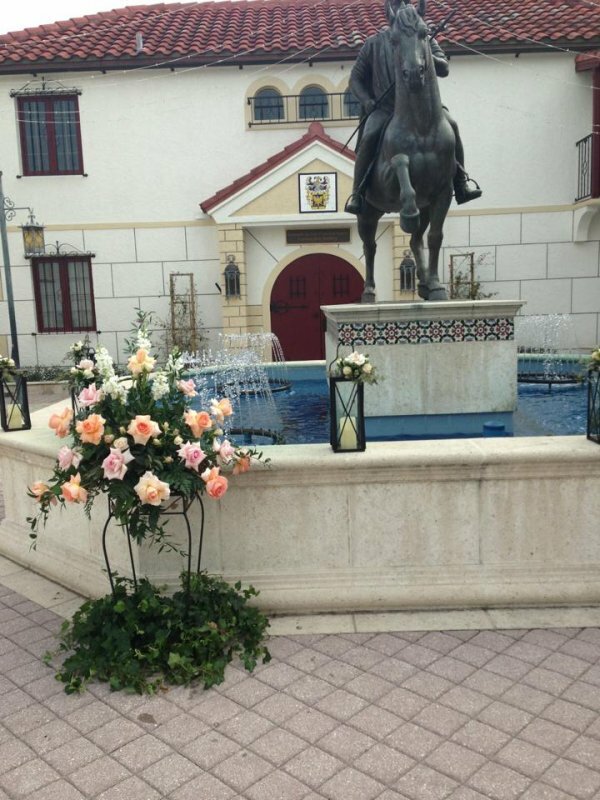 The iron stands were then moved to the reception site to frame the bride and groom’s sweetheart table. The black iron especially suited the look of the old museum courtyard. Affairs in the Air did an exceptional job of providing the magical lighting overhead in the courtyard…you can never go wrong with twinkle lights! The cake was magical as well! Fresh flowers completed the cake designed by Alla from The Cake Zone. Their motto is: “If you can dream it, we can make it!” And this cake was a dream…cream hydrangea and blush tone roses cascaded down the layers of the beautiful and delicious cake. This wedding was an absolute joy and a delight! Be sure to check out all the fabulous pictures done by Kimberly Dyer Photography in the gallery below—they are awesome! We never grow tired of being a part of someone’s dream day! If you are looking for a florist in Sarasota, Flowers by Fudgie would be honored to work with you. 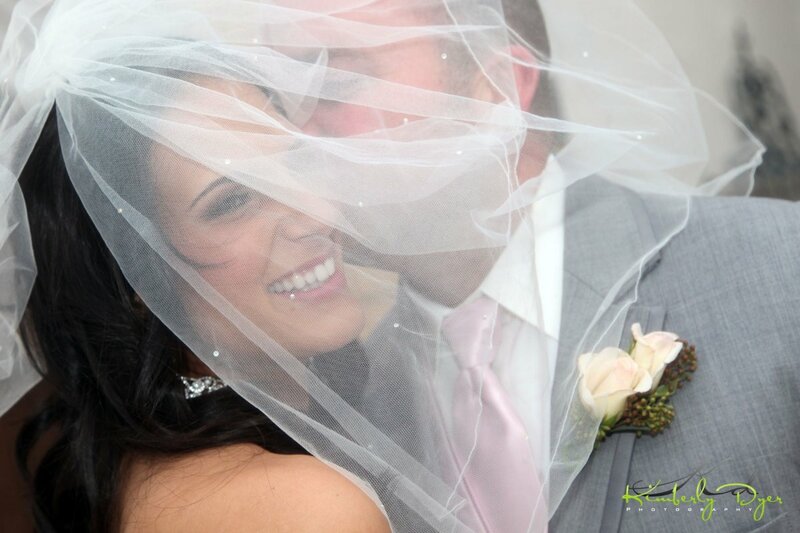 We are here to serve you and make those wedding day dreams come true! Contact us today!